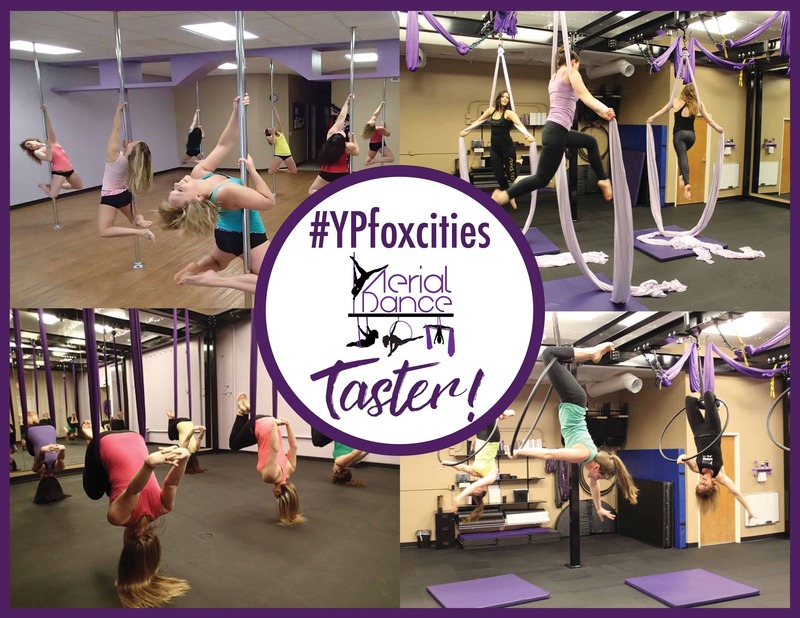 Aerial Dance has teamed with the Fox Cities Chamber of Commerce and Pulse for Young Professionals Week and FITNESS! Join us on Friday, April 26th for an Aerial Dance Taster. Try Pole Exercise, Aerial Hoop, Aerial Hammock and Aerial Silks while incorporating strength building, dance and flexibility training! This 75 minute workout will be a lot of fun and give you a new adventure! Come to our playground! Bring your friends! We will be offering two special YP Week events on Friday, April 26th. Attend either time for this Aerial Dance Taster Adventure. The cost is $25 per person. Times are 4-5:30pm or 5:30-7pm. There are only 16 spots per time block so make sure to register early with your friends to assure the same time slot. Registration will close when all spots are filled or by April 24th.